If your looking for a cheap drone, Walmart has this cool drone for only $22.97! Save $87! FREE store pick up or FREE shipping on $35+ order. 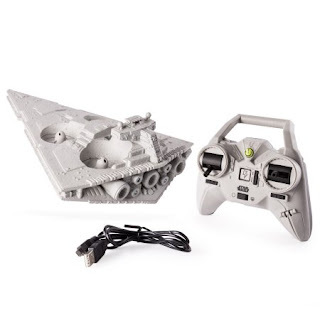 This Air Hogs - Star Wars Remote Control Star Destroyer Drone This Star Wars drone would be a great gift for a Star Wars fan. Great birthday, Christmas, ect gift! Found exclusively at Walmart, the Air Hogs Star Wars Star Destroyer Drone is the ultimate Imperial spaceship! 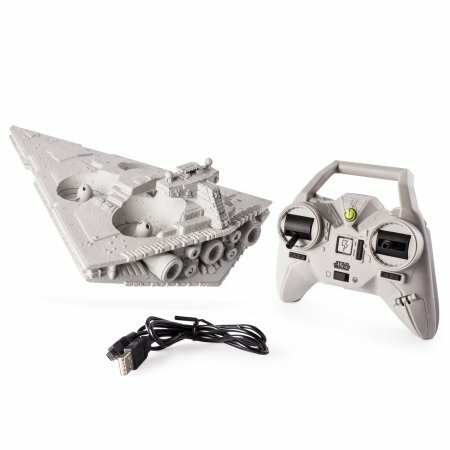 Take the reins and pilot the iconic Star Destroyer with the 2.4GHz remote control for 250ft range. This symbol of the Empire and its power comes complete with a super detailed Star Wars design, light-up LED thrusters, and gyro stabilization for smooth flights. Speed through the galaxy with the Star Wars RC Star Destroyer Drone from Air Hogs! Only at Walmart - The RC Star Destroyer Drone features authentic Star Wars detailing and LED thruster lights. Enjoy a smooth, high-performance flight with gyro-stabilization and a durable construction to survive even the toughest crash landings. 2.4GHz remote control with long-range communication allows you to pilot up to 250ft away. The Star Wars Star Destroyer is for ages 8+ and requires 6 AA batteries (not included). Save Money on Groceries! FREE pintable coupons. Click here to check out the coupon databases!